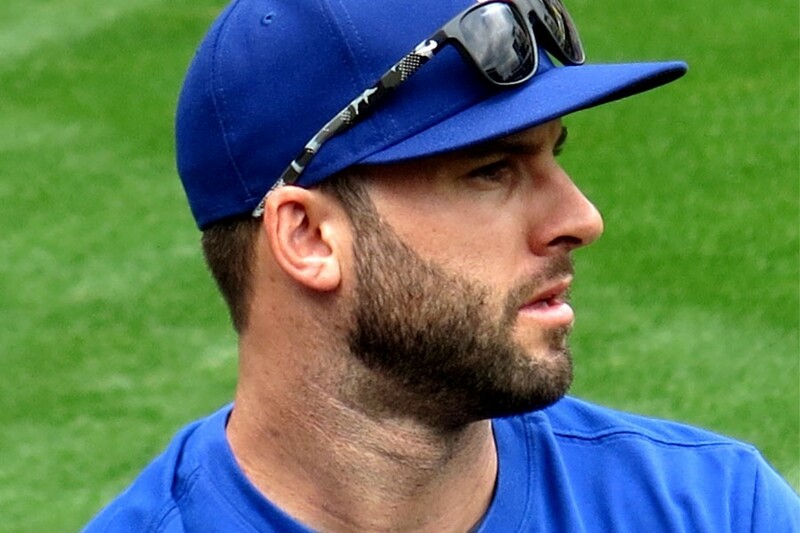 The human body is a mere vessel, and we were reminded of its tender fragility yesterday when Chicago Cubs closer Brandon Morrow was placed on the disabled list after injuring his back taking off his pants. Yep, you read that right: He was easing his left leg out of its pant when he suddenly felt his back spasm and lock up. Laugh all you want at Morrow’s misfortune, but as someone with chronic back pain, I can attest that no one is safe—we’re always one swift, awkward movement away from a locked-up serratus posterior inferior, rendering us unable to walk for several days. It’s a harrowing existence, and one not necessarily reserved for hunchbacked desk jockeys, either. As Morrow proves, even the world’s most elite athletes are capable of Darwin Award–winning self-injury. Stars — they’re just like us! 1. Walked into a 2×4 at Menards…with my forehead. 2. Blew out my back picking up a shirt from the floor. Bed riddled for 3 days. 3. Fell down the stairs on the metra and tore the meniscus. Miracle I am still alive. Is it a surprise that these stories are mostly from guys? Maybe our testosterone-addled brains make us more likely to take risks—or maybe we’re just more likely to boast about them. In honor of foolhardy, injury-prone men everywhere, I give you a somewhat definitive list of the dumbest celebrity injuries. Looking back, it’s hard not to see this injury as the beginning of Sosa’s swift fade into obscurity. It was his last All-Star season — despite hitting an unimpressive .253 and a paltry 35 home runs — and his performance continued to slide until he left the big leagues altogether after the 2007 season. His decline has only continued in retirement. Once a national media darling, Sosa’s been effectively disowned by the Cubs and snubbed by the Hall of Fame over doping allegations. All those (alleged) ’roids, and yet Sosa was still undone by a simple, involuntary bodily function. Ten years ago, when Jersey Shore was a cultural phenomenon, the world was enchanted by a crew of meatheads and their sidekick, a 4-foot-8 woman named Snooki who couldn’t stop falling over. In 2011, Snooki had her own hilarious injury in Florence, Italy, when she pulled her groin Rockette-kicking for the Italian paparazzi. Never one to be upstaged, castmate The Situation responded by headbutting a concrete wall. Some men refuse to lose, even when the competition is self-destructive buffoonery. A seventh-round draft pick who recorded a 15-year, 114-touchdown career, former NFL quarterback Gus Frerotte should be remembered as a football Cinderella story. Instead, he’s known as the asshat who injured himself headbutting a wall. After a scoring a touchdown in a November 23, 1997, game against the New York Giants, Frerotte, then quarterback for the Washington R-words, celebrated by ramming his head against a wall behind the end zone. In his defense, he was wearing a helmet and the wall was padded. But he still left the game with a sprained neck, and people still clown on him about it to this day. Cracked rib playing kickball, exacerbated by moving speakers from my old apartment to new house before I realized it was cracked. Man v. Wall is a recurring theme in the annals of self-inflicted-injury history. The latest installment comes from San Francisco Giants pitcher Hunter Strickland, who’s out six to eight weeks after punching a wall after a bad outing against the Marlins. It’s hard to muster any sympathy for Strickland, a notorious hothead. But one can understand why LeBron James would punch a wall following Game One of the 2018 NBA Finals massacre. This was the now-infamous match in which the Cavs’ J.R. Smith committed one of the most boneheaded late-game brain farts in Finals history. Rather than strangling his teammate, LeBron reportedly punched a whiteboard in the locker room. Dustin Johnson was the No. 1 golfer in the world and the Vegas favorite to win the Masters last April when he had to withdraw from the competition after he fell down a flight of stairs and hurt his lower back. Falling down the stairs is a harrowing mishap, but undeniably funny when it occurs to a world-class golfer days before the sport’s biggest tournament. The incident continues to inspire lame jokes. Somewhere, Dustin Johnson is practicing his stairs. With the Fourth of July rapidly approaching, it seems only appropriate to remind the world of Independence Day 2015—or the day when Jason Pierre-Paul blew up his right hand in a gruesome fireworks incident. Pierre-Paul tried to conceal the mishap at first, as it’s not exactly a tactical advantage to be a professional football player with only seven working digits. But the Giants defensive lineman eventually embraced his mangled hand and has used the incident to spread awareness of fireworks safety. All this is to say, you shouldn’t feel bad about twisting your ankle walking down the street. There are many other doofuses just like you, many of them in the highest levels of organized athletics. The only difference is when they get hurt, they’ve got multimillion-dollar salaries to cover expenses.